In our last article, we noted that Elon Musk's Tesla is providing Model 3 vehicles at prices starting at well over $50,000 and rising upward. This is the car that was promised to the market at a highly competitive entry price of $36,000. So far, none have been delivered at that price, or even anything less than the Cadillac/Audi/Lexus level of ~$50,000. But, Musk and company have been beating down suppliers or using some other techniques and have announced that it will be providing a new breakthrough price model at the unheard of low, low price of – are you sitting down? – $45,000. Not quite what you wanted to hear? There will have to be further major changes to the Model 3 to get its price down to the originally promised figure of $36,000. The average new consumer vehicle price, including sedans, SUVs and pickups is now around the price of the long-promised Tesla Model 3. Most Americans drive cars or trucks that were priced, when new, at far less than the stratospheric heights that Tesla is demanding. As we wrote in our last article there are numerous new vehicles available at much lower prices. In the US, electric cars of many stripes are the rage – the not-really-$36,000 Tesla, even at the enormously inflated prices for a deliverable one, is selling like hot cakes, rising in sales from .39% to 2.08% of all cars sold from June through September 2018 – a substantial surge in sales equaling a 4.3x increase. Beyond the aristocratic feel-good greenies, the rest of the world is looking for transportation, not the latest in politically correct luxury. Tesla automobiles may sell to the aristocrat class in China or Romania, but other brands of other types of automobiles are selling to the working world. And, in fact, the world gets by with much less costly alternatives. Low cost vehicles abound nearly everywhere that cars are available, and are the ruling class of vehicles in many countries. The mental picture of the traffic-jam-riddled city of the Middle East, Far East or South America is rife with tiny cars carrying excess passenger loads crammed together on narrow streets. Given their numbers, one might think there were fortunes to be made in catering to this vast and growing market. But it is with a farewell wave that we note the passing of a world symbol, rife with ignomony and scorn. 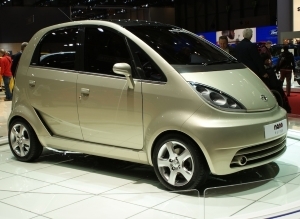 In a story published in DW, the newsletter of Deutsche Welle, 'Germany's international broadcaster' (their signature claim), is the announcement that Tata Nano, "The World's Cheapest Car" is discontinuing production. The production run of this signature automobile lasted for a decade. It was designed by Ratan Tata, who was inspired by the sight of a family of four riding a two wheeler in the rain. Having a closed vehicle certainly offers an advantage over a two wheeler, which we assume is open-air, but from the photographs and the description of the Nano, that's about the only step up. Surprisingly, the "negative image" that the Nano slowly gained over the years was due to its low price, which manufacturers thought would be its selling point. Almost all the industry experts and analysts surmise that Nano's brand image of being a cheap car boomeranged, as car ownership in India is often equated with luxury. VG Ramakrishnan, an industry expert and chief automotive consultancy Avanteum Advisors, told DW the migration of people upgrading to inexpensive cars from two-wheelers did not occur as Tata would have wanted. The car was designed to fit a niche market of poor Indians who needed transportation for their family or business. The original price was 100,000 rupees (~$2200), but even that absurdly low price proved to be too much for the intended market. 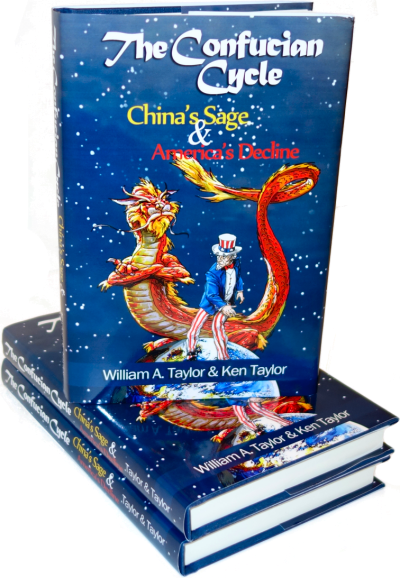 It also came onto the scene of political strife and bad public relations which had the affect of increasing production costs dramatically over its 2008 introductory price. After the model's introduction was greeted with an international fanfare, the brand slipped until, in 2018, Tata Motors announced that in July, it manufactured one unit, and sold only three. Those tiny wheels came to a screeching halt. It seems that every country has a range of automobiles, including a number of El Cheapo models for the budget-conscious. Leaving out American, British, and German makes, which we are pretty familiar with, there are plenty of other vehicles from other countries which meet our un-demanding criteria - even without the Tata Nano, there are Hyundais, Fiats, Suzukis, and others manufactured all around the world and available just about everywhere in a broad range of prices. Some even offer creature-comforts ranging from Spartan to world-class luxury. One vehicle is ubiquitous throughout the Chinese countryside: the Wuling Sunshine. Reminiscent of a 1960s-era VW "hippie bus"--but half the size--the Sunshine is the vehicle of choice for China's small business owners and farmers, who use it to haul everything from electronics to sugarcane. We can expect to see the Sunshine becoming available in the US sometime in the near future as trade sanctions and other impediments ease, though we don't know yet what the brand name and other characteristics will be or the target market. Prices here will probably not be as low as the quoted price in China. Other brands, such as Chevrolet, are bringing to market very low-end vehicles. For the $14,000 ballpark, the Spark LS for 2018 carried a badge of honor from Kelly Blue Book as the #1 in the category of 10 Most Affordable Cars. Classified as a 'Sub-compact', its photographs make it look like a comfortable SUV, and one which is at home rocketing down I-95 through the heart of Miami or Baltimore. Actually the more appropriate location in Miami or Baltimore is the urban street at a somewhat lower speed. While it is a sure thing that there will be those who choose to subject themselves to the dangers and discomforts of high-speed commuter travel in a Spark, a larger vehicle would certainly be more appropriate for that. In a triumph of marketing tomfoolery, the vehicle name calls up images of electric power, but the only engine listed is a 1.4L 4 cylinder engine (this writer has had a motorcycle with a larger engine). Additionally, the gasoline consumption numbers are 29/38 and the power output is an anemic 98 HP. Yet somehow it has a seating capacity of 4, 10 airbags(! ), and a maximum cargo volume of a paltry 27.2 ft.³. Not exactly a snarling beast of a commodious vehicle, but it does have a few pluses. Literature states that an electric version is available here at the end of the model year 2018, so that the naming of the car is not entirely a lie. 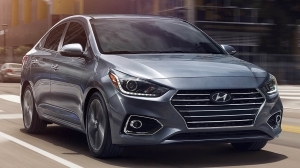 Kelly Blue Book #2 choice is the Hyundai Accent of 2018, the only one of the cars on the list that this writer has driven (2017 model.) 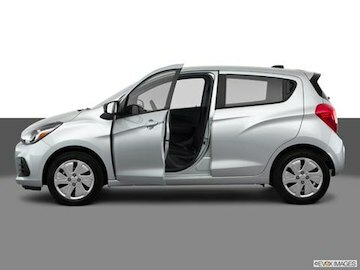 Its price range is approximately $1000 more than the Chevy, but the Hyundai is more honest in its heritage than is the Chevy Spark. Both are products of Korea; the Spark is a Daewoo. The Accent is a somewhat noisy but otherwise acceptable vehicle in this class. It feels a good bit bigger than the Spark judging from the sizes listed, and the reputation of Hyundai for building reliable vehicles goes a long way toward conveying a favorable image. The mileage numbers contain a bit of a surprise with the manual transmission getting 1 mile per gallon less than the automatic. But the overall sense is that this class of vehicles is pretty much the same gas mileage: 28/38 with variations between manufacturers of a few miles per gallon. We could go on, but other people already have: there is a whole sub-genre of vehicles ranging from the two reasonably adequate vehicles described to the truly awful Smart for Two, which is only for the desperate deeply disturbed high-density urban dweller. 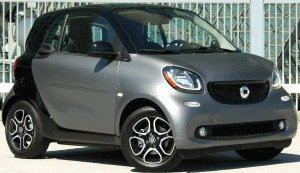 Its corporate parent, Mercedes-Benz, is so proud of this offering that it has arranged for its name to appear nowhere that could possibly be sullied by association with the maker, SmartCar.) Oddly enough, that little piece of German speculative engineering has appeared at this writer's favorite haunt in the form of a Smart two-seater, the owner of which has continued to be too embarrassed to reveal his/hers identity. There’s really no”mass market” for these little, dangerous “lice-like” autos, especially in the U.S. They seem to be aimed at “urban dwellers” in the U.S., but the truth is, if you have a car in downtown Chicago, NYC, Seattle or any other large metropolitan area, you are much better off ordering up a ride on Uber, Lyft or some similar vehicle, where you have no parking concerns, pay no insurance or licensing fees and don’t need to worry about broken windows, tire theft, vandalism, or any of the other concerns of the “ungaraged” masses in cities. In the case of electric vehicles, in most places, only the electric-assisted Prius has hit a sweet spot, and a lot of that is due to the fact that the “Greenies” you mentioned have selected it as their “signature vehicle.” While it is quiet, it is hard-riding and makes me feel like I would be totally exposed (and dead!) in a crash. As for Tesla and similar all-electric cars, they make little sense for those of us in the heartland, where we do not want to spend hours “plugged in” if we want to drive 500 miles to Denver, St. Louis, New Orleans, Dallas—you name it. And more and more Americans—at all income levels—have discovered that what we really should be, and are, driving is a used car (euphemistically called “pe-owned”). That is why the real news is the climbing prices for these vehicles. New car dealers have growing lots full of used models, and I suspect that is where the real action is at many of them.